The hip joint is one of the body’s largest weight bearing joints. It is a ball and socket type joint, formed where the head of the thigh bone (femur) joins the pelvis. In Total Hip Replacement surgery the damaged bone and cartilage is removed and replaced with prosthetic components. In the early stages of hip arthritis simple treatments such as pain relieving medications, weight loss or an exercise program may be of benefit. As the disease progresses more invasive treatments may be necessary. These may include a steroid injection into the hip joint. In order to guarantee that the injection has entered the hip joint, x-ray or ultrasound guidance is necessary. This procedure is generally carried out in a hospital setting. If simple measures are ineffective you may want to discuss hip replacement surgery with your doctor. If the pain in your hip is preventing movement, disturbing sleep or impairing your ability to walk and do your daily activities then hip replacement may be suitable for you. At Mayo Medical Centre we have pioneered a Rapid Recovery process which will allow full weight bearing within a few hours of the surgery and independent walking with crutches on the same day. Most patients only require two or three days in hospital after modern Rapid Recovery hip surgery. The surgery is usually carried out under epidural anaesthesia but most patients will also choose to be asleep during the procedure. 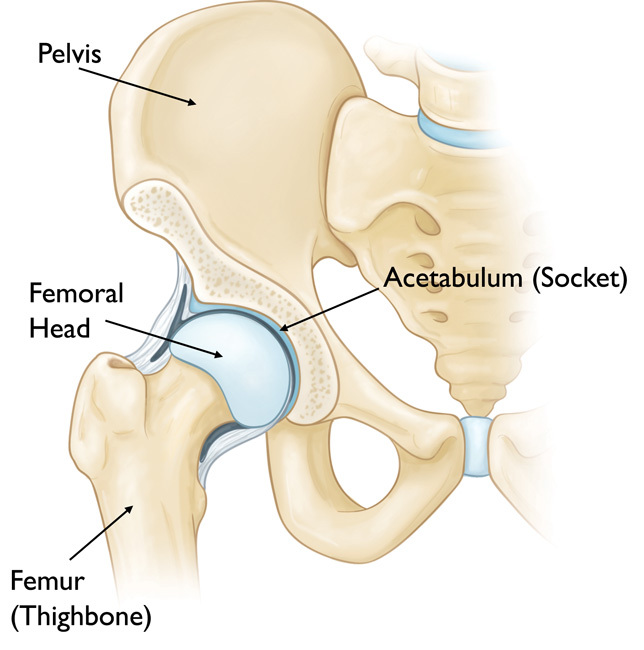 The hip is a ball and socket joint. During the surgery the ball at the top of the femur and the lining of the socket are removed and replaced with artificial components. The muscles, ligaments and skin are then replaced and repaired. A dissolvable suture is used so no stitches or clips ever need to be removed from the wound. A dressing is placed over the wound which is changed before the patient leaves the hospital and can be removed completely a week later. The Rapid Recovery process minimizes post-operative pain and physiological disturbance and this allows patients to mobilize a few hours after their surgery. The patient is guided through their post-operative rehabilitation protocol by their physiotherapist. Although full weight bearing is allowed on the day of surgery, we recommend that patients protect the muscle repair by using crutches for 6 weeks after the operation. In order to avoid dislocation of the joint we advise patients to avoid high flexion movements of the hip for 12 weeks after the surgery. By 12 weeks after the surgery there are no restrictions at all on the patient’s activity level.